Boswellic acid has been shown to help reduce or eliminate skin blemishes like red marks and acne in as little as a day. Pure boswellic acid can cost up to $300 for just a few grams and then the pills you can find at most health food stores are fakes or use all types of preservatives in order to stabilize boswellic acid. There is this company that makes a product with pure boswellic acid. If you email them and ask them for a sample of the pure boswellic acid that stuff clears up acne in less than a day. Not sure how long they will offer the samples but i got mine from emerald cove botanicals but i seen some companies out in China and India (AliExpress) are starting to offer pure boswellic acid so I am sure more companies will offer it in their products soon. Great natural remedy for red marks! Cleared red marks Worked quickly Inexpensive Smells bad I recently got into using essential oils for my health and skincare. 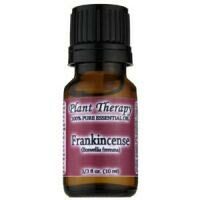 It was recommended to me to use frankincense to get rid of some red marks that just NEVER went away. I absolutely love this! It actually works! The smell is not that great though, so it is something to get used to.